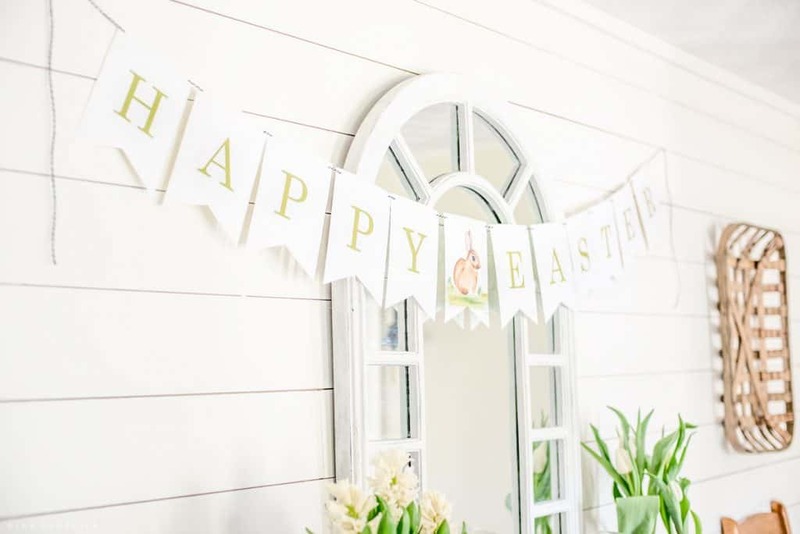 Easter Watercolor Printable Banner | Nina Hendrick Design Co. 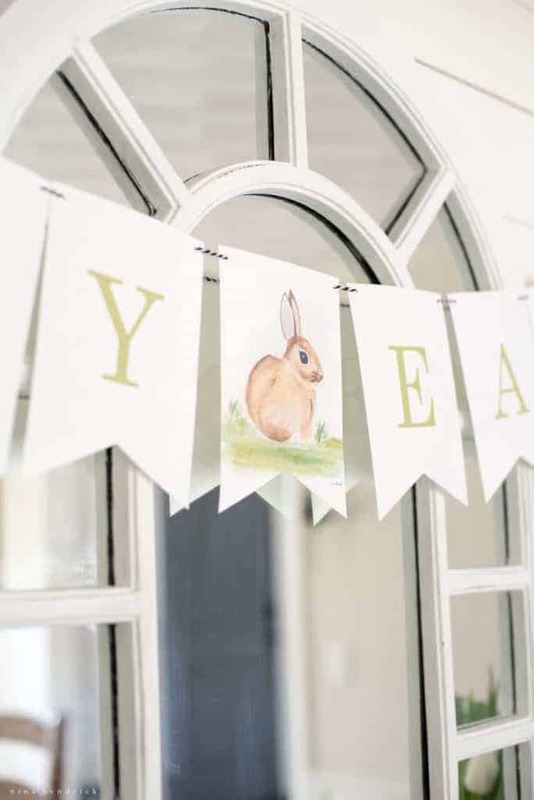 This adorable Easter Watercolor Printable Banner can be printed out to help you decorate for your Easter celebration! 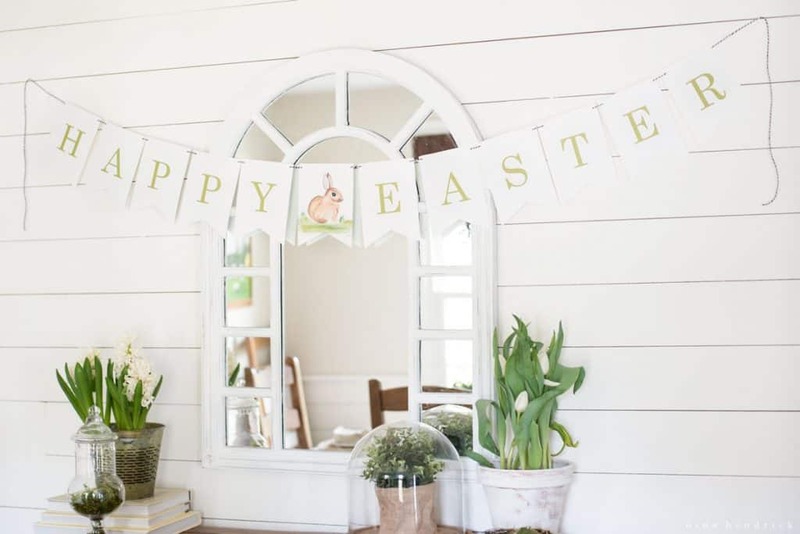 I am so excited to bring you one final Easter post this year- an Easter Watercolor Printable Banner! This is part of a collaboration hosted by my sweet friend Annie of Zevy Joy! Make sure to stop by and see who else is joining us at the bottom of this page. 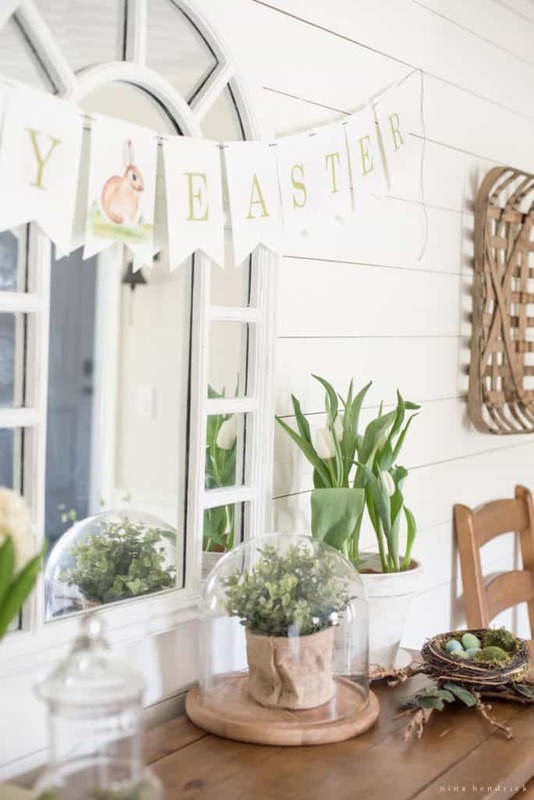 I wanted to share a quick but cute project that you could create to add to your Easter decor! I actually got my start in the blogging world creating party printables like banners, hats, and invitations. It was fun to return to my roots for this project! I also enjoyed the opportunity to use that sweet little bunny watercolor in yet another format. I can’t get enough of him this year! It did remind me of how challenging it can be to photograph a banner. It took me quite a few tries until I was happy with it. Luckily you don’t have to worry about that part- and for assembly, it’s as easy as can be. All you have to do is download, print it out, and then cut out the shapes. There’s a green border, or you can choose to cut off the green border and just have the watercolor paper, which was what I did here. Whatever works with your celebration and decor! Then you simply punch a hole in each corner and thread some ribbon or baker’s twine through. I loved the contrast of the black baker’s twine here! I hope that you love this as much as I do, and enjoy celebrating this beautiful holiday and season of renewal! You can get the Easter Watercolor Printable Banner Here! Please Note: If the box won’t open, you may have a pop-up blocker enabled. Please disable your popup blocker before trying to download. The print will be sent to your email address and should be opened in Adobe Reader. Unfortunately, I cannot provide technical support for free printables, as all computers and settings vary. However, I have set up this Support Page that solves some of the common issues people run into. Thank you for understanding! Nina what a beautiful project friend! 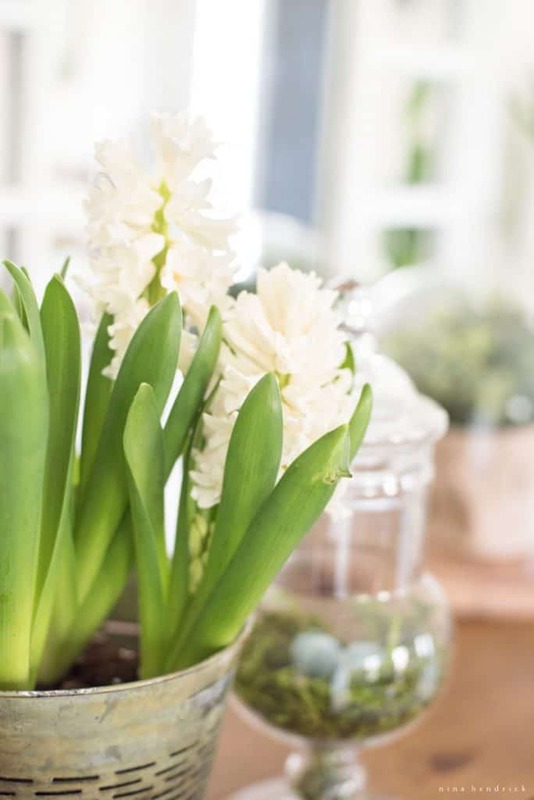 That little bunny is the sweetest and just darling in the middle of this pretty banner… Thank you so much for joining, xo! So pretty, Nina! I love your printables!